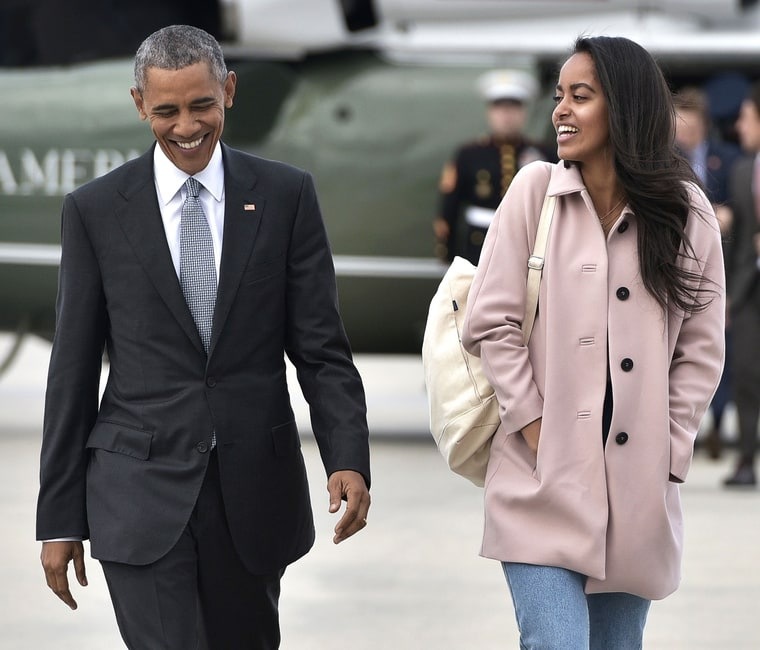 Looking adorable together, Malia Obama joined her dad, President Barack Obama, on a trip to Chicago on Thursday, April 7. Malia, 17, donned a pair of high-waisted light-wash jeans, teamed with a white tee. The soon-to-be college-bound high school student added a feminine blush-hued coat on top, and finished with a cream backpack and flat black boots.